In the next issue we look at skycrapers in Africa. Not since the early seventies has Africa seen a scramble for the skies as is evident today. Recent projects currently underway are set to put Africa on the map with regards to highrise buildings. 22 Purchasing crushing and screening equipment In Africa where the use of concrete has continued to expand due to infrastructure development a good quality crusher and screener is very handy for a busy contractor. efforts to develop renewable energy. Wastewater Treatment Plant, Egypt’s first public private partnership. coated with an additional, low permeability polyethylene (PE) layer to achieve an immediate barrier prior to hydration. With the additional bonding of a PE coating, the fibre reinforcement is also more permanently locked and further increases the pullout resistance, as well as the internal shear strength of the GCL. “Bentofix X also enhances the available factor of safety and confidence in products and their applications for design engineers. The addition of the PE layer exemplifies how modifications to geosynthetic product design can be made to anticipate exactly what the design engineer requires in effectively dealing with the specific challenges of every site. The National Home Builders Registration Council (NHBRC) has introduced new builder registration and enrolment certificates with stringent security features in its effort to limit fraud and keep up with evolving security technologies. The new security measures include an embedded watermark during paper manufacturing; a chemically sensitive paper; micro printed text; background image printed with fine line security and control numbers done with an ink that cannot be rubbed off. “We have enhanced the security features of the new certificates based on industry standards following a number of reported fraudulent activities that posed a risk to the warranty fund and these needed to be managed effectively,” said NHBRC Business Services Executive, Ms Thitinti Moshoeu.NHBRC encourages homeowners, potential home buyers and financial institutions to familiarise themselves with these enhanced certificates and continue to exercise caution when dealing with contractors /developers / builders by ensuring that they verify builder registration and home enrolment with the NHBRC. NCA’s Contractor Training Programme for the financial year 2017/2018 has officially begun. This year’s training covers fourteen regions across the country. This is in a bid to ensure every registered contractor gets a chance to attend the training. The theme of the training is “Effective legal and Institutional Frameworks for Sustainable Construction Growth.” The first training will take place on the 31st of August to the 1st of September at the Jumuia Conference and Country Home in Limuru. 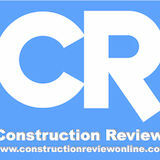 The topic covered will be “GIS Approaches for Construction Quality Management”. In order to promote efficiency in service delivery, all attendees will require to register in advance for the training. The registration deadline is at least three days before each training. For example, For the Kiambu training that will take place from Thursday, 31st August, the registration deadline is strictly Monday, 28th August. This will allow sufficient time for payment verification as well as for planning and logistic purposes to ensure all attendees have access to quality service delivery. Those who will not have registered will not be allowed into the training halls. Payment, however, can be made at any time. If the registration deadline has passed, the fee paid will be valid for any other training on the schedule. designs, unqualified contractors as well as use of substandard building materials are major causes of building collapse. Karaye also said that as a measure to curb building collapse, the institute has decided to deny producers of substandard building materials access to exhibit their products during the 2017 Archibuilt exhibition. Furthermore, he condemned situations where reports of investigations conducted on collapsed building are not made public. meet the needs of the LNG regional development plans. shared exhibition and networking space. technologies to meet emission regulations. boasts a single speed vary. This eliminates the requirement for gear shifting. Instead, Cat says virtual gears facilitate the management of machine ground speed and deliver sleek direction shifts. The cab additionally options isolation mounts and air-suspension seats. This is to make the ride easier for operators, whereas the controlled structure reduces sound levels. KOHLER-SDMO Unveils New Large Diesel Industrial Generator Line KOHLER-SDMO proudly unveiled an all-new range of large diesel industrial generators at a global launch event in last October, in Strasbourg, France. The company’s new KD Series includes generator sets in nodes between 800 kVA and 4200 kVA, which are powered by an entirely new line of Kohler G-Drive engines, also introduced at the event. The generators will be available globally under the KOHLER and KOHLER/SDMO brands and are designed to deliver extreme durability and ultimate reliability in a variety of stand by and prime applications. Targeted industries include: data centers, healthcare, water treatment, oil and gas, telecommunications, mining, and more. “This is an exciting and transformational product launch,” said Hervé Prigent, General Manager of SDMO Industries. “After a very collaborative and thorough worldwide development process, we’re very pleased to be rolling out this new line of generators. We expect strong response to these advanced new gensets that will offer beneficial cost savings and unrivaled performance to our customers around the globe.” Users of the KD Series generators will find cost savings in part through the product line’s superior fuel efficiency, extended service intervals, and space-saving footprint. The new generators are designed to meet global emissions regulations and are highly customizable. slowly phasing out of use. Project managers can update the punch list in real time and assign work to the correct subcontractor immediately. generation capacity. On-grid solutions — as in energy generated in large power plants and carried to homes via power lines — will always form the base of the energy supply in Africa. But African countries grappling with limited financial resources, weak energy planning and rapid economic growth each need to choose the mix of energy technologies that will increase access fastest while offering the best value for money. 637 MW of installed capacity. purposes. A recently launched research project in South Africa is aimed at investigating the feasibility of generating power using a thermal spring binary system as well as from hot granites. Progress on the development of geothermal energy in Africa has been constrained, in part, by a lack of clear resource assessment standards. To help address this challenge, in 2016 new geothermal specifications were completed under the UN Framework for Fossil Energy and Mineral Reserves and Resources. The frameworkâ&#x20AC;&#x2122;s objective is to harmonize standards for reporting geothermal resources in a manner similar to other extractive industries worldwide, for the benefit of investors, regulators and the general public. The industry is sensitive to trends in oil and natural gas prices. Low oil and gas prices tend to reduce global demand for drilling rigs for oil and gas exploration, which can have a positive effect on the geothermal industry by reducing the associated costs of geothermal exploration and the development of new fields. Conversely, low fossil fuel prices in general, and natural gas prices in particular, tend to reduce the competitiveness of geothermal heat and power. 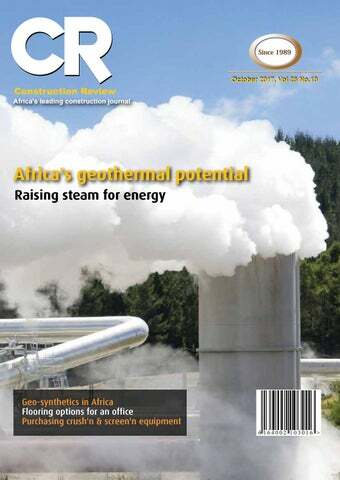 Though the story of geothermal energy seems to be largely about Kenya, the countryâ&#x20AC;&#x2122;s experience and success will undoubtedly spur other countries astride the Rift Valley to take greater measures to take up this inexhaustible low carbon emission source of energy as an alternative to fossil fuels and environmentally disruptive hydro power projects. multi-billion shilling project is taking shape right in the heart of Kakamega County in Western Kenya. Mwale Medical and Technology City (MMTC) is set to be a massive metropolis located in the Lunza area of Butere, a sub county of Kakamega. Once complete in 2020 as envisioned, it will easily be the largest single private development in the country. The project has stirred the hitherto sleepy rural community and generated excitement across the county. The brainchild of Mr Julius Mwale, a Kenyan investor based in New York, MMTC consists of a shopping mall, a 5000-bed hospital, a technology hub, an airport, thousands of homes and leisure facilities including a 36hole golf course. The development is backed by an extensive road network, street lighting and an independent power plant. There will also be cable car transport within the city. Phase 2, currently nearing completion, consists of the first section of the hospital and over 70km of roads built to all-weather standards. Sections of these roads are already tarmacked. This phase also comprises more than 300 solar street lights that will light up the entire complex. 4 States where he has resided for nearly 20 years and has been able to convince many to buy into his dream of MMTC. Currently a host of US companies, some of which he is a shareholder, are heavily involved in the project. “If you are building something for the community, it is easy to get support; it is as simple as that”, says Mr Mwale. “If it is just about you, then things will be very different and you might not go far enough. I have lived in this area (Kakamega) and therefore know what the people need. By building a big hospital, we are helping the people live their lives to the fullest.” Mr Mwale is upbeat about the future of MMTC. “In 15 years, this is going to be one of the largest cities in Africa.” Mwale Medical & Technology City is modeled on Phoenix City in Arizona, in the United States, which was built in a desert amid skepticism but is today famous for its high-end spa resorts, designer golf courses and vibrant nightclubs. 1. Hamptons Mall, home to Mwal-Mart Supermarket. 2. More than 300 of 3,000 planned solar street lights have been installed. 3. Part of the planned 36-Km cabro roads connecting all golf holes. 4. Bird’s eye view of MMTC. 5. Signpost directing traffic to Hamptons Hospital. 6. Entrance to Hamptons Golf Resort & Residences lit by solar lights. 7. Tarmacked road within the complex. 8. Private residence within the complex. 9. Part of the 5,000-bed Hamptons Hospital. 10. One of 4,800 Doctor’s residences already purchased. investment over the life cycle of the building. trial testing in order to support the right choice for the project,” she says. Dam liners Dam liners are essential for preventing water loss from reservoirs and ponds; however it is essential that high quality dam liners are purchased if a long term waterproof solution is required. Predominantly manufactured from Polyethylene and Polypropylene, these geomembranes are used extensively for the containment of liquids, solids and gases in a variety of applications, including Attenuation Tanks, Flood Alleviation, Dam Liners, Gas Barriers, Landfill baseliners & Capping and process water ponds. These liners will normally be provided in rolls which have to be welded together. This requires an experienced welding technician using the correcting welding machinery; so as to ensure a proper bond is attained at the seam. Low quality brands offer poor adhesion properties, resulting in leaks from the seams over time. Replacing or repairing leaking linings can be very expensive, in addition to being time consuming and inconvenient. A little extra investment in a high quality liner should keep repair costs to a minimal level. Challenges in the Market The biggest challenge faced in this market is awareness. Like many new technologies, enablement and adoption becomes a challenge. Especially in developing countries where exposure to these products are minimal, it is important to study and understand the use of geosynthetics. According to Jaqueline Sterrenberg of Engineered Linings a supplier and installer of geosynthetics products in Africa, challenges in the market include: Inexperienced Purchasers who purchase the cheapest lining option and do not consider the quality of the lining required for their specific application, transport of containers of lining from Port to remote sites; meeting deadlines and time-frames for inaccessible, remote locations and also Problems with Customs clearances relating to consumables and returnable tools. As one of the experts in this industry, Strata takes several steps to ensure prospective and existing clients are technically sound with the material. This includes installation guidelines, product guidelines, exhaustive test reports, informative case studies, technical in-person workshops, and several informational videos. reflects what goes on inside the building. the Best flooring options for an office. offices due to them being fairly cheap. content. Nowadays, customers are looking for more sustainable flooring,” she adds. She further mentions that, it is imperative that carpet tiles not only maintain their aesthetic appearance over time, but that they have the ability to maintain their shape and to remain flat on the floor surface without doming or buckling. They must have the ability to remain in place undisturbed after installation and stay looking good, even under the most testing traffic conditions. To do this, they must possess five fundamental characteristics: •	Dimensional stability •	Balance between flexibility and rigidity •	Sufficient weight and mass •	Strength of construction •	Colour fastness •	Cleanability These factors determine the lifespan of the carpet tiles and are very important when choosing the right office flooring that will last long and keep looking great. Vinyl flooring; a touch of style and durability Vinyl flooring is popular for commercial flooring because it offers long-lasting performance. It is ideal for a wide range of applications in offices, commercial, healthcare and retail spaces that need to withstand high traffic. This type of flooring is resilient and resistant to damage, such as indentation and scratches. It is available in many different colours and designs bringing a stylish touch to an office. It is easy to clean and with minimal maintenance. According to Wendy Mitrovich of Polyflor South Africa one of the leading suppliers of Vinyl flooring in South Africa, it is important to fully understand what the area is going to be used for, the intended traffic in that area and the clients’ expectations; when choosing a floor covering. “Vinyl is fast becoming the preferred floor covering choice due to its comfort, durability and longevity, hygienic and acoustic properties, design possibilities, ease of maintenance and environmental consideration,” she adds. and maintain. It also comes with various options to choose from; smooth laminate, embossed laminate, patina laminate and wood grain laminate. Mukesh Kumar of India’s flooring experts observes that for a market that is bursting forth like Africa, laminate flooring is a product with huge potential because of its cost effectiveness. Tiles Other best flooring options includes tiles. This is because they last for a really long time and do not wear out. Some tiles are stronger than others leaving the buyer to choose. Glass tiles are water resistant and also stain resistant. Tiles also improve the beauty of an office as long as it is cleaned regularly. According to Greg Barry of Belgotex a leading soft flooring manufacturer in Africa, colour and design are very critical factors. They must always be looked at when choosing the right tile for the right area. It is no use going for a plain light colour in a heavy traffic environment for example. “Tufted tiles in plank sizes are becoming very popular in 1.2 m x .30 m, and also Luxury Vinyl Tiles in wood looks are still right up there. New Colorpoint technology in tufted patterned broadloom is also coming through very well in the Hospitality and executive area sectors. There are also new vibrant designs in needlepunch,” he adds. available, namely the introduction of Diamond SPC rigid core flooring, a stone plastic composite that is the most stable flooring available on the market. “There are more technological advancements and stylings in the industry than ever. Products, construction, styling and installation technologies are changing so fast that it is nearly impossible for maintenance and engineering managers to keep up with the changes. Of all building materials, floor coverings of all kinds are changing most, and attitudes about floor coverings are changing, as well. The green movement has many managers reconsidering floor coverings as they look for alternatives to carpets and current vinyl available,” adds Kozinsky. Epoxy There is increased demand for stained concrete with an epoxy thin film coating on top in the market. This due to companies looking for a more decorative and hard wearing floor finish. According to Ms. Hunter one of the trends that Flowcrete are receiving a lot more inquiries about is epoxy terrazzo screeds. This type of floor is very similar to a polished concrete however it can be installed with a variety of colours and different aggregates to create a bespoke floor finish. Another trend that is becoming very popular is the epoxy metallic coating. “One of the beauties of the product is that each installation is unique,” she adds. Mr. Akis Apostolopoulos of KTISIS a flooring specialist in Greece further adds that, epoxy flooring is becoming a preferred choice for most commercial areas. This is due to its low cost and can be applied faster than tiles. There seems to be enormous interest in designer floors like 3d epoxy flooring and metallic flooring. However it is still unclear if this will be just a fad that will go away in a few years, or if there is long term potential for growth. Choose a smaller tip: be sure the sprayer is rated to handle the size tip being used. come to an abrupt end. But having mobile plant means that you can move equipment to future jobs within a few days. “Furthermore, some recent trends which BG Holdings has seen benefit from is technology that allows the access of information on plant remotely. Important information like fuel consumption, idle time, crushing time and even projected tonnages per hour can all be viewed from a smart phone or similar device,” adds Mr. Beukman. Reception of new technologies The African market has shown a positive response towards the new technologies being introduced in the market. Mr. Doyle mentions that, initially, the reception to mobile crushers and screens has been limited in Eastern / Western and North African countries over the last three years. But since McCloskey sold over 20 units into Ethiopia in the last 2 years demand there has increased dramatically. Other contractors begin to see the benefits of mobility and flexibility of mobile plants over stationary and wheel mounted. tonne is directly relevant to the availability of your equipment. Therefore, ensure your supplier has well stocked stores, properly and regularly trained technicians to assist with technical back-up. Also ensure that all your plant equipment is permanently generating profits rather than sitting on stand-by. Another common mistake when looking at cap-ex is trying to save money but cutting back on the initial investment. Crushing is similar to driving a car, in that you need to go through a number of gears (read crushing stages) to get to your final product. Often end-users will sacrifice a gear/crushing stage to minimize on Cap-ex expenditure. This only leads to more down time, higher operating costs, and less money in the bank. Reliability Moreover Mr. Martin Botha the Export Sales Director at Osborn a dealer in mining and quarry equipment in South Africa adds that, a good brand name is also very important. When purchasing a crushing and screening plant, a good brand name is an indication of reliability. The African market is not so big right now with regards to crushing and screening equipment but it is developing very fast. This is according to Mr. Riyadcan Aziz the export manager at Ugur Makina a manufacturer of crushing and screening equipment in Turkey. “Mostly, the existing crushers are equipped with old technologies and have low capacities. More has to be done to ensure the market is at par with other markets in the developed continents,” he adds. The equipment should be easy and safe to maintain. Sustainable Cities and Communities - Make cities and human settlements inclusive, safe, resilient and sustainable Looking forward: The Kenya We Want: Affordable Housing for All The AAK acknowledges the severe shortage of affordable and appropriate housing options available to households on very low to moderate incomes in Kenya. The right to accessible and adequate housing; and reasonable standards of sanitation is a right enshrined in the Kenyan Constitution. This therefore is a fundamental role to be played by government and not left to private sector, which is primarily driven by profits and return on investment. It is unfortunate that in the recent past, we have witnessed tragic incidences of buildings collapsing and leading to loss of lives, this is in a way a manifestation of Government stepping back from provision of social housing. It is time Government took provision of shelter, which is a basic need, as a priority. 1. 3. Ease of Doing Business The AAK congratulates the Government for scraping fees previously charged to Developers by NEMA and NCA, this has contributed to reduction of cost of development and impacted positively on the construction industry; an industry that contributes 7 % of the gross domestic product (GDP). However, the AAK notes that Plan Approval Fees at County level remain significantly high, especially in Nairobi. These high fees negatively impact the building industry and Kenya’s investment climate. The AAK looks forward to a reduction of this to promote business. encourage people to walk and cycle short distances. enforcing agency to ensure the law regarding development control is fully implemented. We hope that lessons will be learned from various incidents of building collapsing so that we do not keep witnessing this kind of avoidable tragedy and loss of lives. County Governments should also ensure that qualified personnel are hired to oversee development control and building inspections. We need to see more built environment professionals with the necessary skillset hire. 5.
contract used widely by industry. 5. AAK continues to grow and improve its internal systems. We now have a fully electronic voting system and financial and membership management system. AAK has been at the forefront of conservation of building heritage not the least being advocating for the pulling down of the Advertisement around KICC, one of the most iconic buildings in Kenya. â&#x20AC;&#x153;The AAK Excellence in Architecture Awardsâ&#x20AC;? have now become a highlight of the building industry and continue to promote and celebrate best practice in the built environment. We maintain a healthy financial position with properties on Mucai Drive and the newly acquired Suite 605 at Blue Violets Plaza. The AAK collectively celebrates this golden anniversary, and we renew our commitment to working to advance these and all our shared values as Kenyans. Association of Professional Societies in East Africa (APSEA) Parliament Road, The Professional Centre, P.O. BOX 72643-00200, GPO, Nairobi Tel: 0726-610498/0733-610948 Fax: 341883 Email: apsea@apsea.or.ke Website: www.apsea.or.ke The Association of Professional Societies in East Africa (APSEA) wishes to congratulate the Architectural Association of Kenya on her 50 years of excellence in professional service delivery within the built and natural environments in Kenya, East Africa and Beyond. APSEA, being the joint forum and umbrella body of Professional societies in East Africa founded in 1961 and is now the Epitome of Professionalism, is very proud to have within its corporate membership, such a vibrant association, dedicated towards the promotion of high standards of professionalism for all its members. We applaud the tremendous growth of the Architectural Association of Kenya to such heights. On behalf of the Council of APSEA and all our 27 Corporate Members, we heartily congratulate this great Association for the successful 50 year journey and assure you of our continued and unwavering support as we move together to build a better future for our professionals in East Africa. Kenya Urban Roads Authority congratulates the Architectural Association of Kenya (AAK) on its Golden Jubilee. We celebrate you as you mark the AAK @ 50 celebrations and applaud you for your spectacular contribution to the built and natural environmentâ&#x20AC;Ś.HEKO AAK. We look forward to even more stronger and strategic partnerships even as we continue to discharge our mandate. Transport Cabinet Secretary James Macharia (middle) speaks to the press after inspecting progress on Ngong Road. With him is Eng. Silas Kinoti, Director General KURA (left) and a representative of the contractor. International Cooperation Agency (JICA). Phase One starts at the National Library snaking down to Prestige Plaza constructed at a total cost of 1.3 Billion. The project is currently about 70% complete. Phase Two starts at Prestige Plaza extending all the way to Dagoreti Corner and will cover 3.3 Km at a cost of Ksh 2.54 billion. The project is set to start in January 2018. Phase Three starts at Dagoreti Corner and ends at Karen roundabout with slight extensions to Karen and Langata roads. In the recent past, the Authority has also partnered with Architectural Association of Kenya (AAK) to redesign modern urban footbridges. This program has been rolled out through a competition by architectural students and the best design will be adopted for use by the Authority. It is this kind of partnerships bringing stakeholders together that will move us closer to attaining the goals envisioned in the Vision 2030 blueprint. lighting, sewer lines, storm water drains, pedestrian paved paths and cycle lanes. “In our Phase 1, we are selling fully serviced five-acre plots for developers to put up residential apartments, town houses and maisonettes or warehousing facilities,” explains Kavit Shah, Tilisi Developments’ Co-CEO. Developers are expected to adhere to development guidelines and controls with regards to building heights, open space ratios, landscaping among other considerations. Apart from the parks and recreational areas allocated at Tilisi, there are several natural green spaces which demarcate the residential areas. The project is strategically located along Nairobi-Nakuru highway. It can be accessed from three entry points - the Highway, Ngecha-Chunga Mali Road and Limuru Road. It is in close proximity to both the southern and northern by-passes. A total of 178 acres have been reserved for residential use where up to 3,200 homes will be put up. These include 2,000 apartments and 1,200 town houses or maisonettes. enough room for landscaping and services including drainage, footpaths and cycle lanes. A perimeter fence and CCTV surveillance on all major roads will ensure protection of the entire site while individual developers will be advised to ensure safety and security in their respective developments. CCTV Surveillance with adequate control and monitor rooms and guards with patrol vehicles will also be provided on the main roads. “The government also appreciates the fact that there are very few efficient logistics parks in the country and Tilisi Logistics Park provides an opportunity for investors to put up their warehouses away from the congested industrial area in Nairobi where traffic snarl ups delay movement and translates to loss of man hours and economic returns,” observes Kavit. project that will become one of Kenya’s newest concepts of gated communities,” concludes Kavit, adding it has taken over two and half years of planning with an experienced team of predominantly Kenyan consultants. Safety first The safety of workers should be the main priority in telecommunications tower construction and maintenance projects taking place throughout Africa. caused by lack of fall protection, dominate. Employer negligence What emerges is that, in most cases, the buck stops with employers. Mainly, two main factors would contribute to accidents: employers not sufficiently providing appropriate fall protection (poor quality or wrong equipment) to employees, and failing to ensure that their employees use fall protection appropriately. In particular, with respect to poor fall protection, it has been observed that many accidents occur when workers wearing harnesses are not properly anchored or tied off. Bizarrely, sometimes, workers would be told to free climb instead of using appropriate safety gear to attend to expedite a task. Employers, in this context companies owning telecommunication towers, can also be culpable by approving or sanctioning the design of telecommunication towers without enough platforms on them designated for workers to tie off to. This can be a potential cause of accidents. a textured color plaster coating. Kencoat® is applied externally to give a long lasting and most durable protection to any structure and internally give you an appealing finish which doesn’t wear off. Application does not require any sort of priming or elaborate surface preparation nor does it require any curing after application. Kencoat® is premixed and supplied in ready to apply packs thus no site mixing is needed except stirring. The product is available in various colors, is water resistant and can be washed with soap and water to restore its original color even after many years. can have costly consequences. As a result, the employer can face a lawsuit obliging them to pay employees millions of dollars in compensation. In addition, the damage done to a company’s reputation can be too ghastly to contemplate. So, it is important that employees assigned with tasks in projects should have insurance, the right certification and relevant training. Kencoat is a resin based aesthetic wall coating applied on walls for durable protection and for a stylish finish. Space optimisation is key in a refrigerated warehouse. High demand for cold storage convenience There are immense opportunities for discerning logistics and supply chain facility management companies to invest in cold storage warehousing facilities in Africa. secondary (short-term) storage of chilled, frozen and super frozen products, depending on clientsâ&#x20AC;&#x2122; requirements. This enables businesses to supply their products that are of the right quality and quantity as and when needed to clients. To meet the finicky demands of the growing clientele, facilities should have high-density storage areas, standard racking chambers and receiving and dispatch areas as the minimum standard. 1. Reliable power supply One of the main problems which businesses in face in most Sub-Saharan African countries are the high cost of power and reliability of power supply. Thus, there is a necessity for logistics and supply chain companies to invest in back up power. Backup power is essential as any interruption can result in the food items going bad, costing clients in millions of dollars in loss of potential earnings. What makes an efficient refrigerated warehouse Refrigerated warehouses need to be wellequipped to adequately serve customers requirements. The following are essential: reliable power supply, space optimisation, food safety audit, sustainability and security. 2. Space optimisation Mobile and static racking systems result in excellent space usage and high pallet density. Due to the high cost of refrigeration storage, the optimisation of space is crucial, as it enables to store bulk goods in a small space. Meticulous layout is key to the efficiency of a refrigerated warehouse. paperwork approved from the relevant authorities in most African countries can be forbiddingly frustrating and offputting to an investor. In some African countries, it is not uncommon for a project proposal to take two years before it is approved. It was observed that the urgency which authorities approve documents varies from country to country. Indeed, patient is a virtue for investors aiming to make the most of the lucrative sub-Saharan African market. The concrete proof of excellence and innovation The Fulton Awards celebrate excellence and innovation in the design and use of concrete. And the 2017 Awards were no exception. Sports Resort in the Drakensberg, which was attended by more than 300 guests. Congratulations to all involved on Glen Crescent House. meticulously executed house not only blends in, but it is a celebration of the poetic surface qualities which only concrete can achieve. A great combined effort and a tremendous achievement. Glen Crescent House was the Winner in the categories of Buildings up to 3 storeys. Raising the bar On evidence of architectural masterpieces that were recognised by the South African Property Owners Association (SAPOA) 2017 Awards, the South African built environment is breaking boundaries to meet the demand for quality facilities for various purposes. The Sol Plaatjie University precinct in Kimberley won the Residential Development category at the SAPOA Innovative Excellence in Property Development Awards 2017. This project reflects our expertise as a fully integrated infrastructure firm delivering innovative project and construction management services in Africa. robust and sustainable environment. The design is a dynamic and versatile, multifloor space, with mobile structural elements and furniture. The flexible environment facilitates collaboration, interaction and innovation for all users. The African design theme is prominent in the General Electric African Innovation Centre . Top-notch Afrocentric industrial innovation The GE Africa Innovation Centre (GE AIC) was awarded the SAPOA Award for Best Innovative Development 2017 at the annual South African Property Owners Association Awards (SAPOA) ceremony on 22 June 2017. Few would dispute that this was a richly deserved accolade. sustainable Healthcare Customer Experience Centre. Sustainability Most outstanding about the building is that the design process, the use of green materials, advanced acoustics, flexibility, ergonomics, visual comfort, in addition to sound management of waste, water and electricity. As a result of these attributes, the Innovation Centre is the first GE building in SubSaharan Africa to earn both the GREEN and LEED certified GE building. Paragon collaborated with AECOM SA (Pty) Ltd, appointed Green Star and LEED accredited professionals for the interior fit-out, to lead the process and outline parameters for the ratings. African design ethos African design ethos is prominent in the design. The building leverages local African innovation in industrial design. For instance, the interior has more than 300 pieces of furniture handmade by over 30 African artisans. Most conspicuous is a three-storey high mural by Peter Mabeo of Mabeo Furniture in Botswana, made from over 1500 individual pieces of indigenous and would that had been sustainably sourced. Indeed, corporating the ethos of the GE Africa Innovation Centre into a building was a stroke of genius. And, few would dispute that the 2017 SAPOA Innovation Award was richly deserved for the dedicated team involved. As part of the connected companies of Keller, Franki Africa offers a comprehensive range of geotechnical and marine engineering services including both design and construction for the General Construction, Civil Engineering and Mining Industries. Call Franki today about your next project. A treble for the iconic Sasol Place Based in Sandton, the financial hub of South Africa, the iconic Sasol Place, the new head office of petrochemical giant, Sasol, scored three awards – the prestigious Overall Winner, Corporate Award and for the iconic Sasol Place in Sandton. and podium and greywater is collected from showers for irrigation and flushing toilets and urinals. Efficient office and parking lighting operate on occupancy sensors. Domestic hot water is provided by two heat pumps. Fresh air provided at a rate of 12ℓ/s/p High level of thermal comfort for 95% of the usable area Energy uses of 100kVA or greater and all major wateruses are sub-metered & controlled via BMS 70% of usable area has direct line of sight to the outdoors Paints, adhesives & sealants and carpets with low or no VOC Automatic blinds are programmed to block glare from the office spaces. Reducing footprint Through the abovementioned initiatives, the new head office reduces Sasol’s office footprint by as much as 40%, by consolidating 17 Sasol offices across Johannesburg in a single building. While accommodating 2 500 employees at present, in addition to 300 auxiliary staff, the ‘future-proof’ design means the head office is flexible enough for future expansion up to 7000 staff members.